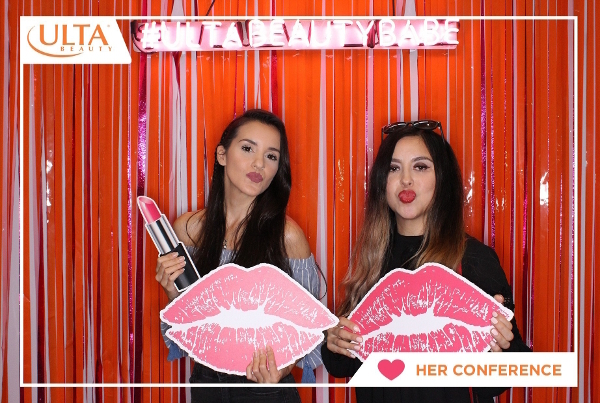 I recently partnered up with Ulta Beauty and Her Campus Media to attend Her Conference in New York City and check out the Ulta Beauty Bar. I'm pretty sure all of you are familiar with Ulta Beauty (I mean, come on. It's the best!) but, just in case you aren't, it's the largest beauty retailer in the U.S. and the premier beauty destination for cosmetics, fragrance, skin care products, hair care products and salon services. Ulta Beauty offers a full-service salon in every store featuring hair, skin, brow and makeup services. 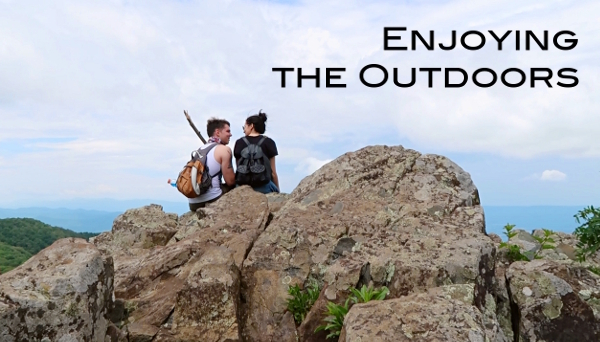 I was recently in Virginia (again) visiting my boyfriend and I vlogged our adventures together! We spent a lot of time outdoors and I had so much fun. We spent a weekend at a farm with his family, where we had a camp fire, went for a ride on a golf cart in the middle of the woods at night, and I even did something for the first time that was kind of scary! You'll have to watch the video to see what it was. We explored the amazing Luray Caverns. Their Wishing Well was so incredibly beautiful. We also went hiking at Shenandoah National Park and saw so many cute animals. We watched sunsets, made our way through a maze, and went to two escape rooms! That last part wasn't outdoors but, as I've mentioned before, we're obsessed with those and they were also a lot of fun. Check out the video below to see if we escaped and to see all the other things we got up to! During the past two weeks, I've done lots of different things, from plant shopping and having a baby shower for my sister to traveling to Virginia and going to escape rooms. 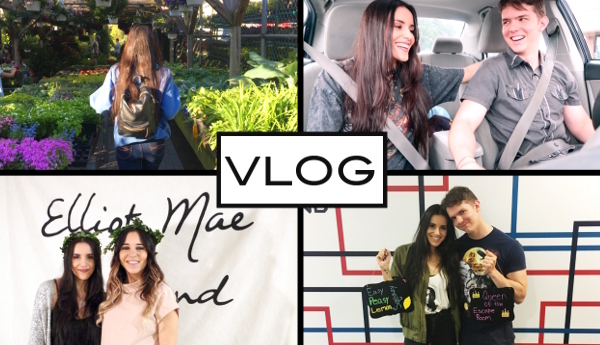 You can watch it all in my vlog below! I'm still not great at vlogging (I forget to film all the time) but I'm working on it and I hope you guys enjoy it anyway. By the way, escape rooms are so fun! My boyfriend and I are obsessed. I highly recommend going to one, if you like a challenge! Happy Mother's Day! I know not every country celebrates it on the same day but, here in the U.S, it's Mother's Day and to celebrate that, I filmed a video with my mom. Two years ago we filmed the Mom Tag, so this year I decided to do it the other way around and see just how well my mom knows me! Recently, my boyfriend came to visit me in New York and I showed him around my hometown. 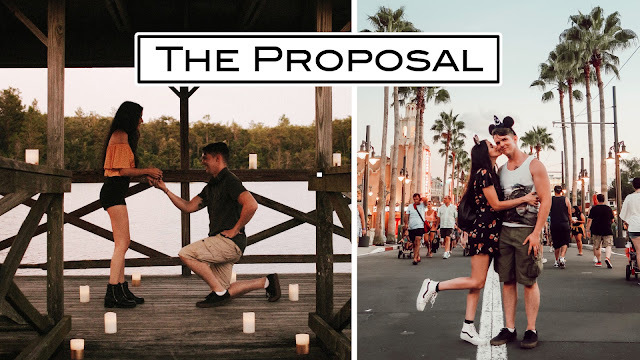 We visited many of the main tourist attractions, like the Statue of Liberty, Times Square and Central Park, but I also took him to some of my favorite spots. I filmed the time Caleb and I spent together here but it isn't a regular vlog. I wanted to just enjoy my time with him and not be worried about talking to a camera. So, instead, I filmed lots of clips of our activities and combined them all with some music. I hope you guys enjoy it! 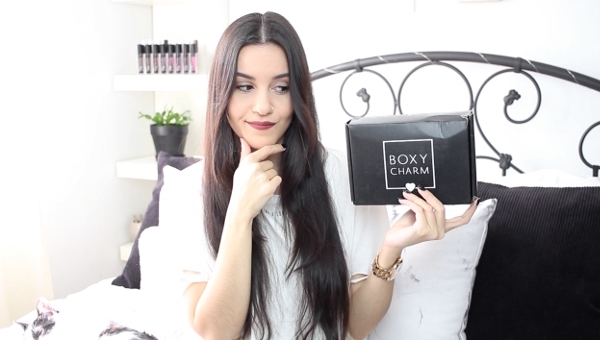 As I mention in today's video, the Boxycharm unboxings might be coming to an end. I still shared everything I got in April's box but I'm unsure whether I'll be continuing to film unboxings of future boxes. Please let me know if you would like for me to continue. Anyway, I hope you guys enjoy the video! 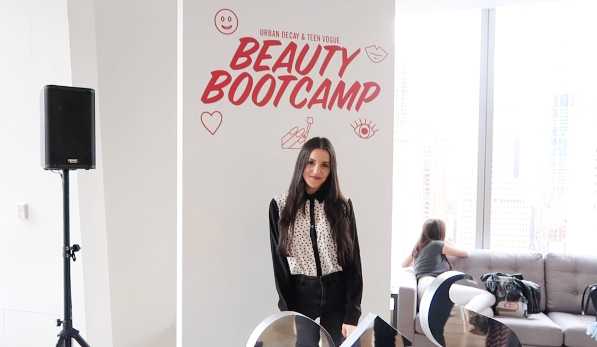 This week, I got to attend a really cool event hosted by Teen Vogue and Urban Decay. It was called the Beauty Bootcamp and was full of really interesting panels, workshops, interviews, and even a makeup class with Steve Kassajikian. We heard from the founding partner of Urban Decay, Wende Zomnir, Youtuber Jackie Aina, and lots of staff members from Teen Vogue, who sure know a whole lot about social media. I vlogged a little bit of this experience and continued to vlog the rest of my day, where I actually chatted a little bit about my anxiety and the struggle of being an introvert. I also shared the products I received in the goodie bag from the event, as well as some other PR packages, some of which I'll be saving for a giveaway. 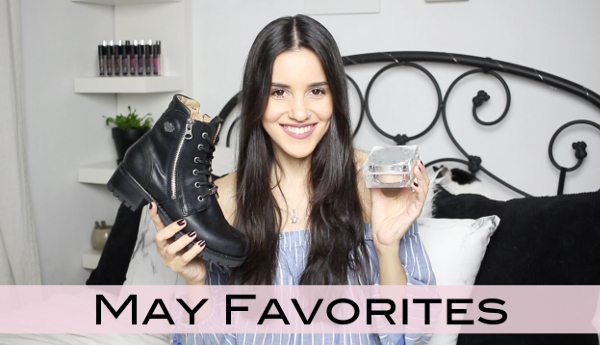 Join me on my day by checking out the video below!